Betty Rollin is a TV correspondent, an accomplished author and a captivating speaker. A former correspondent for NBC News, her special reports for Nightly News included a series on the Native Americans of Pine Ridge, South Dakota, which won both the duPont and Emmy awards. She now contributes reports for PBS' Religion and Ethics Newsweekly. Rollin is the author of six books, including First You Cry, a moving story - the first of its kind - about her breast cancer and mastectomy. Published in 1976 and recently re-published in honor of the author's 25th "cancer anniversary", it received wide critical acclaim and was made into a television movie starring Mary Tyler Moore as Ms. Rollin. Her bestseller Last Wish, published in 1985 and republished in 1998 deals with the suicide of her terminally ill mother. One critic called it "a document of personal compassion and public importance." The book has been published in 18 foreign countries and was made into a TV movie, which aired on ABC in 1992, starring Patty Duke and Maureen Stapleton. 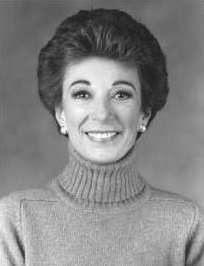 Rollin first joined NBC in 1972 as a reporter for the newsmagazine, Chronolog and during 1972 she was the on-air theater critic for WNBC-TV, New York. She later created and anchored a series of NBC News's special programs for and about women titled Women Like Us. In January of 1973 she was named a correspondent for NBC News. In this position, she reported on human-interest stories, which remain her main focus as a journalist. In 1982 she became a contributing correspondent for ABC News Nightline. She left that position to write Last Wish and returned to NBC News in 1984. Prior to her television career, Betty Rollin was an associate feature editor and staff writer for Vogue magazine. Following that, she became a senior editor for Look magazine, where she remained until the publication was discontinued in 1971. She has contributed articles to many national magazines, including The New York Times where she was also a Hers columnist. A native New Yorker, Rollin is a graduate of Fieldston Ethical Culture School in Riverdale, NY and Sarah Lawrence College. She and her husband, Dr. Harold M. Edwards, a mathematician, live in Manhattan.